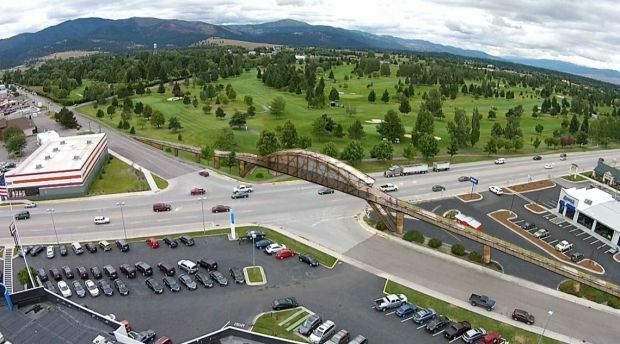 There are a number of trails and pedestrian bridges in Missoula to ensure that bicycling and walking are safe and accessible options for everyone. The Missoula trails system is constantly changing and expanding. There's no better way to explore this beautiful town than by going on a ride. RUX Trail - a short connection from the Van Buren/Broadway intersection to Pine St (loops behind Five Guys). This is a great low-traffic route option from campus to downtown. Grant Creek Trail - just north of I-90 on Reserve Street, a beautiful trail that takes you past the Rocky Mountain Elk Foundation and a nature reserve. Northside Trail - a short connection in the Northside neighborhood between Waverly St. and N 1st Street. Greenough Park Trail - a beautiful trail along Rattlesnake Creek, and a great commuter connection for those living in the Rattlesnake area. Riverfront Trail - a connection between Kiwanis Park and Caras Park, along the beautiful Clark Fork River. Route of the Hiawatha - just an hour and a half drive west from Missoula, the route of the Hiawatha is a 15-mile trail that was once a railroad. 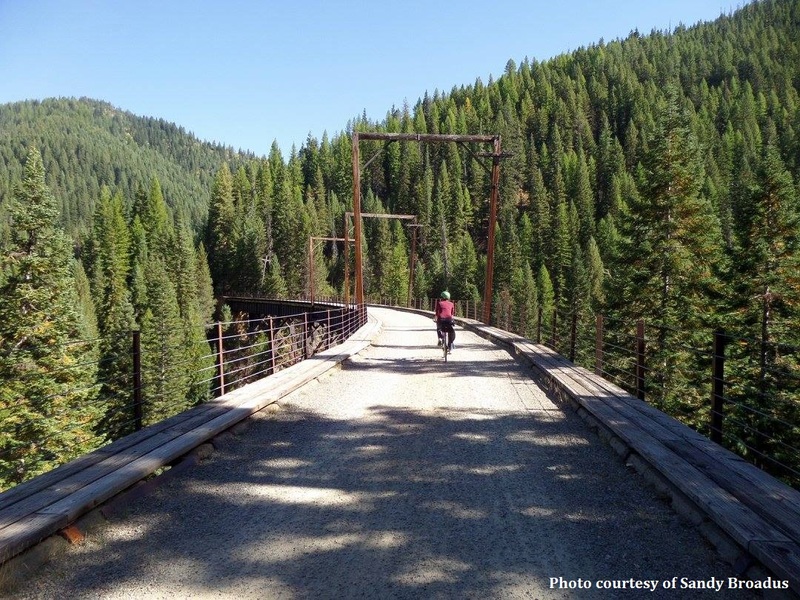 This route will take you through ten train tunnels and over seven trestles, and is considered one of the most scenic bike routes in the country. Bike lights required. Trail is open May-September. North Idaho Centennial Trail - A two an a half hour drive west from Missoula, this trail meanders for 24 miles from Higgens Point on beautiful Lake Coeur d'Alene all the way to the Idaho/Washington state line. Glacier National Park - A two and a half hour drive north from Missoula, Glacier National Park is a breath-taking, experience-of-a-lifetime kind of place. Biking the Going-to-the-Sun Road is challenging, but worth it for the experienced cyclist. The Going-to-the-Sun Road is typically open mid-June through Labor Day. Check the website for snow and road conditions.